The title of the world’s best-selling recording artist of 2017 has been given to Ed Sheeran by IFPI. This is the organization representing the recording industry all over the world. Their declaration reflects the unparalleled and record-breaking success enjoyed by Sheeran’s third album, Divide (÷). Some of the singles of the album have become global smashes including songs like Perfect, Shape of You, Galway Girl and Castle on the Hill. The album was released in March last year and was not only the best-selling album of 2017, but has also become multi-platinum in over 36 markets. As far as the best-selling global single of 2017 is concerned, it was Shape of You and the song became multi-platinum in approximately 32 markets. This marks the first that the Global Recording Artist chosen by IFPI has had the best-selling single and also album of the year. The IFPI Global Recording Artist of the Year Award is an authoritative and unique accolade that reflects the worldwide success of an artist across physical and digital music formats, from vinyl to streams. 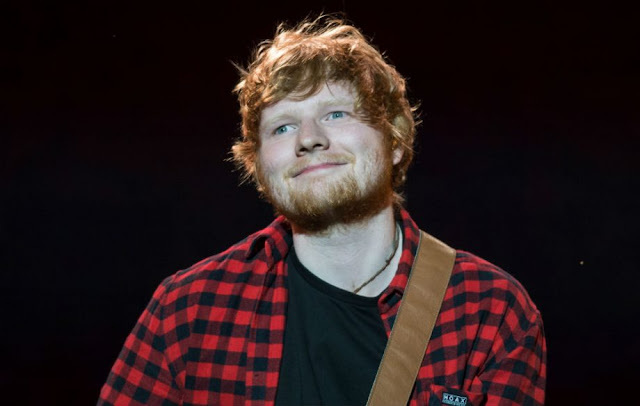 Ed Sheeran is the fifth person to receive this award and previous recipients of the title include Drake, who received in 2016, Adele in 2015, Taylor Swift in 2014 and One Direction in 2013. CEO and Chairman of Warner Music UK and CEO of Recorded Music for Warner Music Group, Max Lousada said that becoming the biggest star in the world with the biggest album and biggest song was a result of hard work, creativity and ambition on a global scale. He praised Ed Sheeran’s skills as a performer, vocalist and songwriter and said that he can tell stories with his songs and make people feel. He further said that his connection with the fans is authentic, which has always given him a special place in everyone’s hearts. He praised all those people who had contributed to the singer’s success. Frances Moore, the IFPI chief executive said that they were very pleased to announce Ed as the award’s recipient as he has an astonishing ability to perform and write songs that connect with everyone. Drake, who was the last recipient of the award, was second place this year during which his More Life mix tape broke the record for most streams of an album in 24 hours on Apple Music. On Spotify, his album had the best first-day streams. Taylor Swift took third place thanks to her album, Reputation, which was released in November 2017. It took the No.1 spot on Billboard 200 chart at its debut and since then has topped charts in various countries including Ireland, Austria, Australia, Belgium, New Zealand, Norway, Canada, the Netherlands, the UK, Switzerland and the US. The Global Recording Artist of the Year and the top 10 chart by the IFPI is the first and remains the only ranking that’s able to determine the engagement ratio of artists accurately across all audio streaming channels as well as sales of physical and digital albums on a global scale.